Sidoman Investments Limited is a logistics and forwarding company based in Kenya. The company previously traded with the name Sidoman Parcel Services Limited but after immense growth and expansion to new products and services the management decided to change the name to reflect on the new business venture the company had diverse to. This long incredible journey was started by current CEO and founder Mr. Saeed Sheikh Abdirahman. The quest to solve the many challenges in the logistics industry resulted in the founding of this great company that continues to be a choice for many looking to have stress free logistical solutions. We continue to lead from the front with innovative products and services that solves our clients problems. We offer our clients a one stop shop for all their logistics needs. 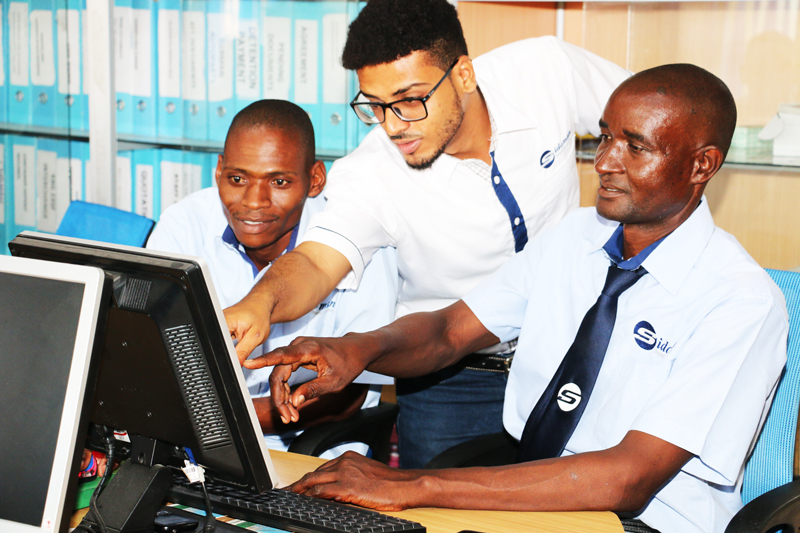 Commitment to our clients is excellence in delivery, that is what drives every Sidoman employee to deliver beyond the expectation of our clients. The employees form the bedrock of the company. A wealth of experience, constant training and periodic fine tuning of processes keep us efficient and competitive. We run a blog on logistical matters on this website, it is a platform for us to share our knowledge on logistics and also learn from other experts that engage us with commentaries on our articles. All are welcome to join us in the fantastic discussions that we have regularly on the blog. To be the preeminent integrated logistics service provider for the world. To provide cost effective, customized, technology-based logistical solutions that surpass our global customers’ expectations while serving the communities within which we work, with integrity and commitment. We are fair and sincere in all our dealings. We leverage on creativity, continuous innovation and advancement made in technologies. We use this to provide quality services and build a sustainable competitive edge.